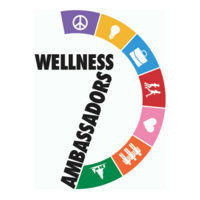 Join the Wellness Ambassadors and our students for Random Acts of Kindness Week. There will be a different event each day in the Portico, Monday, 2/11 - Thursday, 2/14 from 11:00am-1:30pm. Everyone will learn about how to practice random acts of kindness for strangers, themselves, their family & friends, and the environment. There will be interactive activities, giveaways, and FREE food for participants.